Chef Castillo who has studied in Calabria Italy brought back and has been serving our guests the best Italian dishes for over 20 years. Taking inspiration from Italian kitchens and paired with our extensive wine list you will surely find a dish on our menu to savor. Please have a look at our breakfast, lunch, dinner, dessert and wine menus. All sandwiches are served with French bread or Foccacia with lettuce and tomato. A choice of regular coffee or tea is included. No free refills. 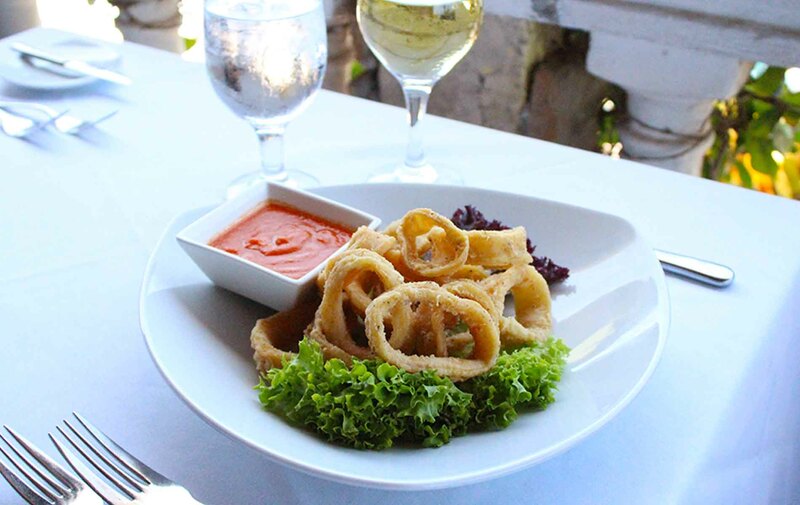 Deep-fried calamari (squid rings) served with our unique marinara sauce. Beef top round sliced and marinated with black pepper, mustard, shaved parmesan cheese, served on a bed of arugula with a touch of olive oil and balsamic vinegar on the side. Crêpe filled with asparagus and béchamel sauce, with grated parmesan cheese. Chilled jumbo shrimps on a bed of arugula leaves, served with cocktail sauce, fresh lemon and Russian dressing. Fresh seafood soup with cherry tomatoes, mussel, shrimps, baby octopus, fish squids, clam and basil in a fish broth, unique from our Faro Blanco Restaurant. Fresh white bean soup with cherry tomatoes, basil, pasta, pancetta (Italian bacon) and marinara sauce, olive oil, garlic and chicken broth. Arborio rice cooked in a tomato base with clams, mussels, baby shrimps, jumbo shrimp, baby octopus, squid, cherry tomato, basil and fish broth. Arborio rice cooked with smoked salmon, marinara sauce, fish broth and butter. Jumbo shrimps sautéed in garlic, olive oil, oregano, cherry tomato and fresh tomato sauce served with vegetables. Salmon fillet served with our authentic sauce made of fresh cherry tomatoes, fresh mushrooms, garlic, olive oil, onions, white wine and marinara sauce served with vegetables. Sea bass fillet gratin with mixed seafood topped with parmesan cheese, mustard and béchamel sauce served with vegetables. Grilled sirloin steak (12oz) served with your choice of Fettucini Alfredo, fresh vegetables or French fries. Veal Ossobuco (shank) baked with red wine, white wine, parsley, rosemary, broth, garlic, onions, olive oil and lemon juice, served with our cheese risotto. Veal Scaloppini prepared in a fresh tomato sauce with garlic, basil, oregano, black olives and olive oil, cherry tomato served with your choice of Fettucini Alfredo, vegetables or French fries. Grilled fillet mignon wrapped in bacon and fresh mushroom sauce served with your choice of pasta or vegetables. A boneless breaded chicken breast, deep-fried and covered with melted mozzarella cheese and marinara sauce, served with your choice of pasta, vegetables or French fries. Hamburger prepared with iceberg lettuce, tomato and onions served with French fries. Hamburger prepared with mozzarella cheese, iceberg lettuce, tomato and onions served with French fries. Focaccia or french bread with prosciutto ham, tomato and red onions and a dash of olive oil. Focaccia or french bread with ham, tomato, lettuce and mozzarella cheese. Focaccia or french bread with Italian salami and bel paese cheese. Focaccia or french bread with grilled zucchini, yellow squash, eggplant, red and yellow pepper and mozzarella cheese. Focaccia or french bread with eggplant parmigiana. Focaccia or french bread with grilled breast of chicken, ham and mozzarella cheese. Linguine in our unique pomodoro sauce with assorted seafood such as baby octopus, squid, clams, mussels, baby shrimp, jumbo shrimp, basil and garlic. Penne in our fresh tomato sauce with garlic, parsley, bacon and hot pepper. Ravioli filled with mozzarella cheese served in bolognese sauce. Pasta sheets layered with bolognese sauce, marinara sauce, ricotta cheese, mozzarella cheese and basil, topped with bolognese sauce. Fettucini with sautéed pancetta (Italian bacon) mixed with Alfredo sauce. Cheese filled tortellini with smoked salmon in a creamy mixture of marinara and Alfredo sauce. Curly short pasta in our pomodoro sauce with sautéed onions, basil, pancetta (Italian bacon) and garlic. Tomato sauce, mozzarella cheese, peppers, ham, salami genoa, mushroom and black olives. Ricotta, mozzarella, parmesan cheese, basil, ham and mushroom served with marinara sauce. Tomato sauce, mozzarella cheese, baby octopus , squid and baby shrimp. Tomato sauce, mozzarella cheese, peppers, ham, mushroom, black olives, jumbo shrimps, salami genoa and arugula. A lovely salad where baby kale is tossed with sourdough croutons, shallots, tomatoes, cucumber, fresh basil, vegan parmesan and a delicious red wine vinaigrette. House made grilled flatbread topped with lemon cashew ricotta, fresh basil and toasted pine nuts. Creamy roasted vegetable purée with lasagna noodles, topped with cashew, ricotta and fresh basil. Italian style ratatouille prepared with roasted eggplant, zucchini, summer squash, bell pepper and red onions sautéed in a red wine vinegar sauce with Italian spices served over linguine. Linguine with assorted fresh vegetables such as green zucchini, yellow squash, red-, green and yellow peppers, cherry tomatoes, red onions and carrots in a pomodoro sauce. Arborio rice cooked in a tomato base with fresh green zucchini, yellow squash, red-, green- and yellow peppers, cherry tomatoes, red onions, carrots and vegetable broth. Penne in a creamy mixture of marinara and our home made vegan Alfredo sauce, prepared with fresh cherry tomatoes, basil and a splash of vodka, topped with vegan parmesan cheese. The Alfredo sauce contains cashew nuts. Arborio rice cooked with dry porcini mushrooms, fresh mushrooms, parmesan cheese, vegetable butter and vegetable broth. Crêpe filled with baby shrimps. mushrooms and béarnaise sauce, with grated parmesan cheese. 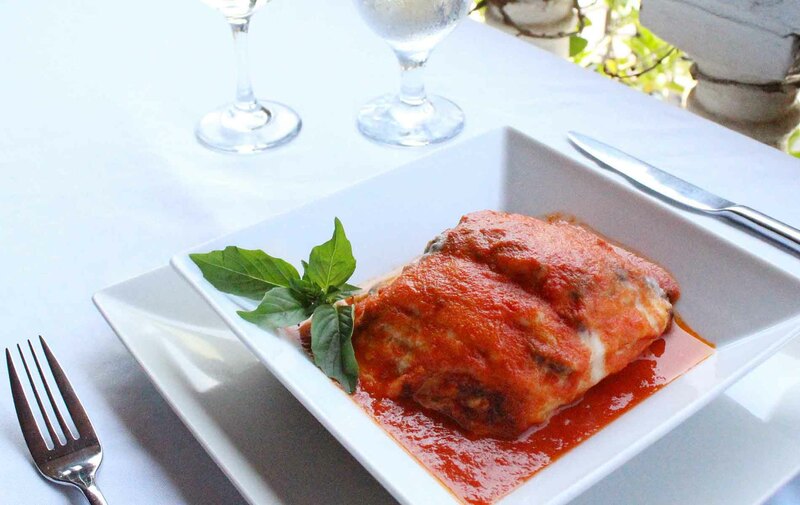 Layered eggplant and mozzarella cheese with pink béchamel sauce topped with marinara sauce. Fresh seafood soup with cherry tomatoes, mussel, shrimps, baby octopus, fish squids, clam and basil in a fish broth and marinara sauce with cherry tomatoes. Mixed lettuce, sliced almonds, cranberries and peaches, served with our house dressing. (Gluten free & Vegetarian friendly) *Peaches served when in season. Otherwise apples will be served as a substitution. Arborio rice cooked with smoked salmon in marinara sauce, fish broth and butter. Salmon fillet served with our authentic sauce made of fresh cherry tomatoes, fresh mushrooms, garlic, olive oil, onions, white wine and marinara sauce. 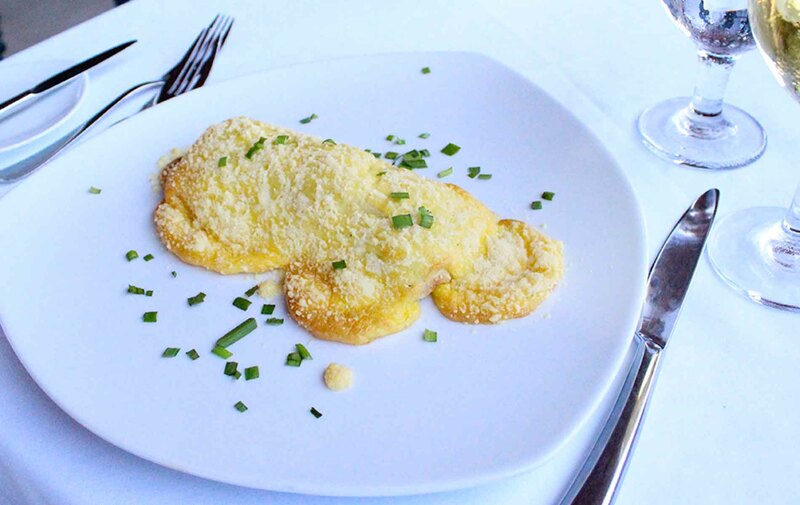 Sea bass fillet gratin with mixed seafood topped with parmesan cheese, mustard and béchamel sauce. Jumbo shrimps sautéed in garlic, olive oil, oregano, cherry tomato and fresh tomato. Fish fillet cooked in a fresh tomato base sauce with garlic, oregano, black olives, cherry tomato and olive oil. 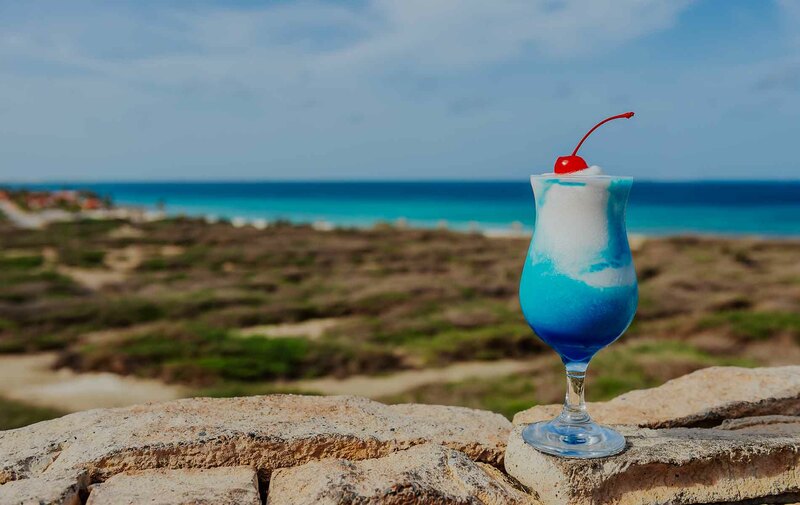 A Faro Blanco Family favorite! Gamberoni specialle di "Pachi y Machi"
Butterfly breaded jumbo shrimps served with tartar sauce, accompanied by your choice of pasta or vegetables. Fish fillet with fresh rosemary, olive oil, basil, garlic, white wine and fish broth baked with a layer of thinly sliced potatoes. A boneless breaded chicken breast, deep-fried and covered with melted mozzarella cheese and marinara sauce, served with your choice of pasta or vegetables. Boneless grilled chicken breast mixed with fettucini with Alfredo sauce prepared with fresh cherry tomatoes, basil and a splash of vodka. Veal scaloppini served in a fresh tomato sauce with garlic, basil, oregano, black olives and olive oil, served with your choice of pasta or vegetables. A 12oz. boned veal chop, grilled and prepared in our excellent fresh mushroom sauce, served with your choice of pasta or vegetables. Veal scaloppini prepared in our excellent fresh mushroom sauce, served with your choice of pasta or vegetables. Deep-fried and breaded veal covered with melted mozzarella cheese and marinara sauce, served with your choice of pasta or vegetables. Baby rack of lamb baked or grilled with rosemary, garlic, olive oil and black pepper, served with your choice of pasta or vegetables. Grilled fillet mignon wrapped in bacon topped with a sauce made with red wine, brown sugar, cloves and cinnamon served with vegetables, sliced oranges and fresh strawberries. Linguine in our unique pomodoro sauce with assorted seafood such as baby octopus, squid, clams, mussels, baby shrimp, jumbo shrimp and basil. Linguine in agli olio sauce with clams, garlic, chives, olive oil and white wine. Our tasty ravioli filled with parmesan cheese in our unique Caribbean sauce with mixed seafood such as squid, baby shrimp, clams, mussels, baby octopus, jumbo shrimp, black beans, basil and corn. Ravioli in bolognese sauce with sweat peas and sliced mushrooms and a dash of fresh cream. A nice fettucini pasta in a rich creamy pink sauce served with chopped smoked salmon. 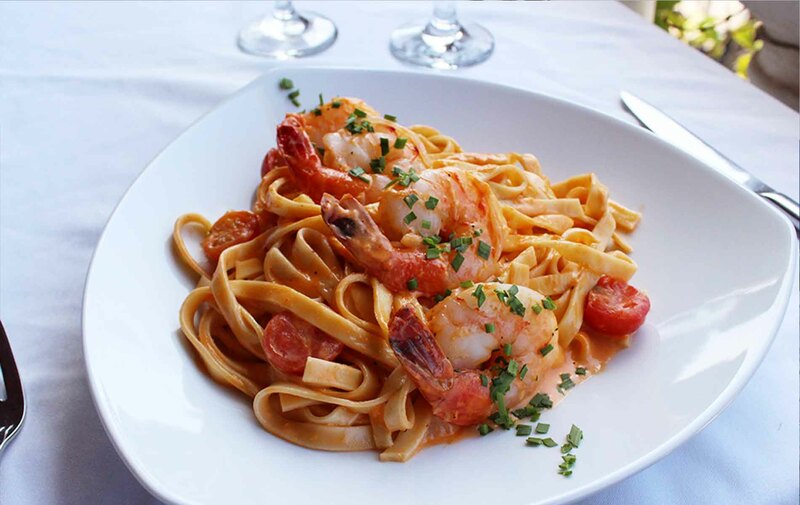 Fettuccini in a creamy mixture of marinara and Alfredo sauce, prepared with fresh cherry tomatoes, basil and a splash of vodka, topped with jumbo shrimps. Toppings extra cheese, fresh basil, peppers, genoa salami, onions, black olives, mushrooms, baby shrimps, chicken, assorted seafood, ham, anchovies, zucchini, eggplant, broccoli and olives. Pound cake soaked in espresso, kahlúa and rum, filled with mascarpone cheese and whipped cream, topped with chocolate. Pound cake soaked in amaretto rum and espresso coffee filled with mascarpone cheese, whipped cream and amaretto cookies, topped with fresh strawberries. A crunchy tube of pastry filled with cream of ricotta cheese and mascarpone cheese, studded with powdered sugar, almonds and bits of chocolate. A traditional Italian custard topped with hot chocolate. A unique chocolate cupcake filled with hot chocolate served on a bed of Ponche Aruba, sprinkled with cacao and powdered sugar. *Please allow ten minutes as this is prepared a-la-minuta. Italian apple pie served with ice cream. *Served cold or a la mode. Please inform your waiter of your preference. 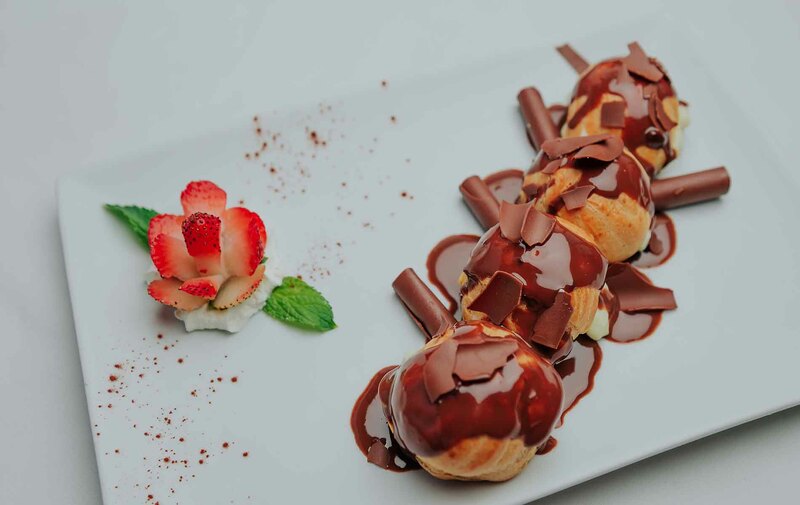 Italian cream puffs filled with our unique pastry topped with hot chocolate. Fresh pear cooked in marsala wine and brown sugar, served with ice cream. Assorted homemade Italian ice cream. Regular coffee with coffee liquor and amaretto. Regular coffee with frangelico, kahlúa and baileys Irish cream. Regular coffee with Irish whisky. Regular coffee with Jamaican rum and tia Maria. Regular coffee with tequila and coffee liquor. Regular coffee with vodka, coffee liquor and hazelnut liquor. Espresso coffee with hot liquor, sambuca, frangelico, galliano and rum. 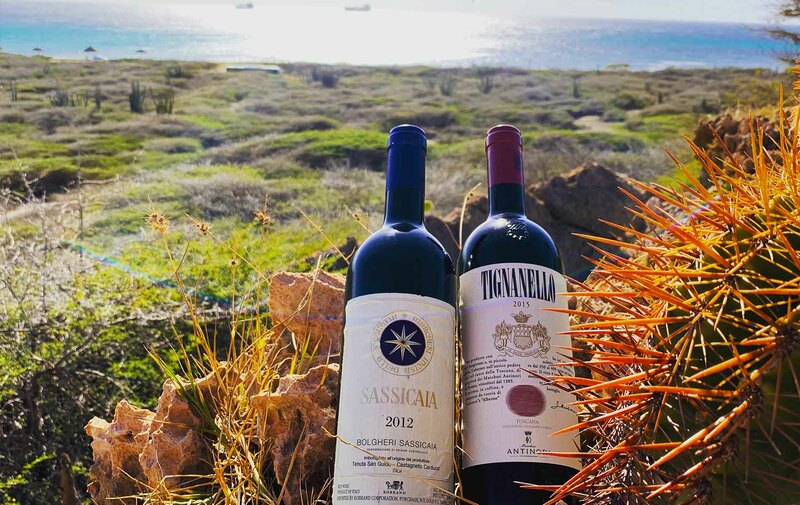 Pair your meal with beautiful wine selections from different wine regions around the globe. Want to surprise a loved one with a gift card?